I'm starting to collect the Fluorescent Neon Nail Polishes from Born Pretty Store. Not only do they glow under UV light but they are pretty cool regular polish colours. This one is a pastel green, a lovely summer shade, but get down to the disco and you're nails will rock! I'm very impressed with it's fluroescentness and excellent value for money, huge 15ml bottle. Check out my video below. 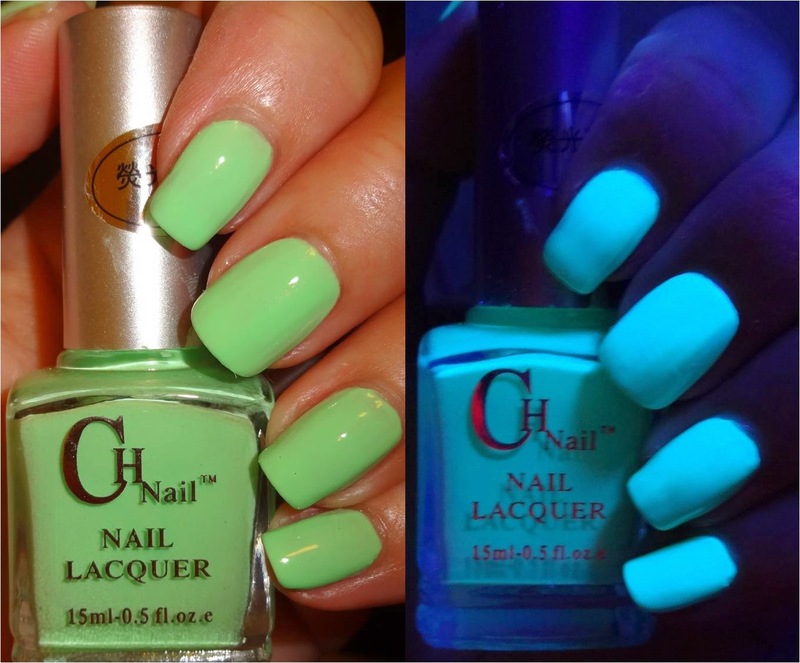 The Fluorescent Neon Nail Polish costs approximately $4.99 / £2.93 / €3.66 and if you use my discount code HXBQ10 you get 10% off full priced items!! Check out the Born Pretty Store website for loads of cool nail art goodies.